Looking at your schedule, it looks like you have fallen behind and there are many activities lagging and you are now wondering how to accelerate the process. The first step you should review is how to simplify things and determine if it's due to your subcontractor or supplier, although if you are the GC then it is all your responsibility. However, there are other circumstances that might prompt you to accelerate the construction process. Let's see and understand the implications of a construction acceleration. Sometimes the project team or the stakeholders will ask you to accelerate the construction project as they can be receiving some advantage of this process or to avoid working in certain weather conditions. 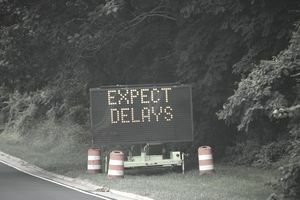 There is always the need to accelerate the construction project if after a schedule analysis the project team determines they are behind schedule and the contract requires you to do so. If you are facing this situation, always try to complete this analysis. Does the contract has a clause for acceleration? Are you being compensated for such efforts? How long does the acceleration plan will last? How many resources are available to complete this process? Which activities can be altered when performing the acceleration process? How does the project end date will be modified following this acceleration process? Have you analyzed all costs related to this plan? How is the information is going to be relayed to all project team members? When does it start, when it will be finished? Schedule: Prepare a schedule providing the project team with information on how much time will be saved. It is important to identify when the plan will start when will end and the impact on related activities. A revised schedule will follow the acceleration plan proposal. Cost: Not only the additional efforts, crews, and material needed to expedite the process. Also consider the waste generated, general conditions, additional space required to receive material, tools, and equipment, and costs associated with the plan. Sometimes contractors will not include the management efforts as well as the extra coordination between contractors to complete the plan. Overhead costs shall also be included in the proposal. Exclusions and Assumptions: A very important part of the proposal is the list of activities that will be impacted. But most important you will need to provide a contingency plan if the acceleration process does not result in the expected savings, either on time or costs. List all the risks associated with the plan and how they can be avoided. When managing contracts and construction projects that require you to accelerate the construction process, these are the most common techniques used by construction professionals. To keep track of those you will need a separate accounting string or block to keep track of those costs separately. Once those costs have been incurred, you will need to put together a request for the extra costs with all the timesheets, invoices, rental equipment details, and supporting evidence of the material incurred in the process. However, sometimes we will be using equipment that is already on site, so you will be entitled to claim a portion of its rental fee since it is not being used 100% of the time for this activity or acceleration process. The same rule will apply to overhead and general conditions.